Just Listed :: Wonderful Contemporary Near Downtown Roswell! Welcome Home! Located on a quiet street in one of Roswell’s most popular neighborhoods, this home is just what you’ve been looking for. The flowing floor plan, custom features, and charming character will never go out of style. Easy access to GA400, I-285, and Roswell Road makes virtually all commutes a breeze. You’ll also enjoy being only minutes from many restaurants and shopping spots in nearby downtown Roswell! 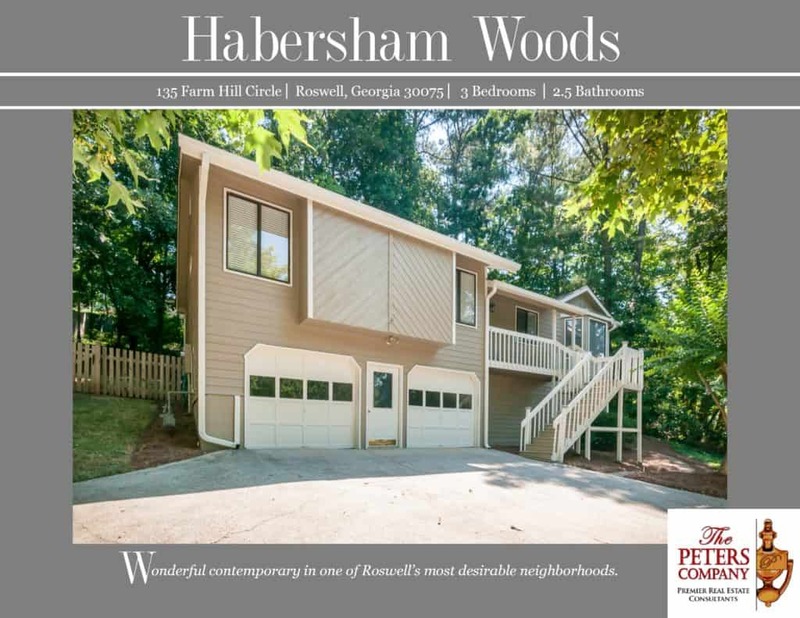 Outdoor enthusiasts will love being close to multiple parks and the Chattahoochee River! Kitchen features ample cabinet space, stainless steel appliances, granite counters, pantry, breakfast area, and office nook. Formal dining room is perfect for entertaining guests or hosting holiday gatherings. Spacious living room boasts a vaulted ceiling and cozy gas starter fireplace. Master suite is a true retreat including a vaulted ceiling and huge walk-in closet. Master bathroom has a double vanity, jetted tub, and separate shower. Additional bedrooms are well-sized and bright. Finished basement provides tons of additional living and lounging space and has a half bathroom. Two car garage easily fits vehicles and has a work shop with extra storage. The back deck is perfect for outdoor enjoyment and entertaining. Wonderful location convenient to shopping, restaurants, parks, and more. ← Time for a Family Beach Home?